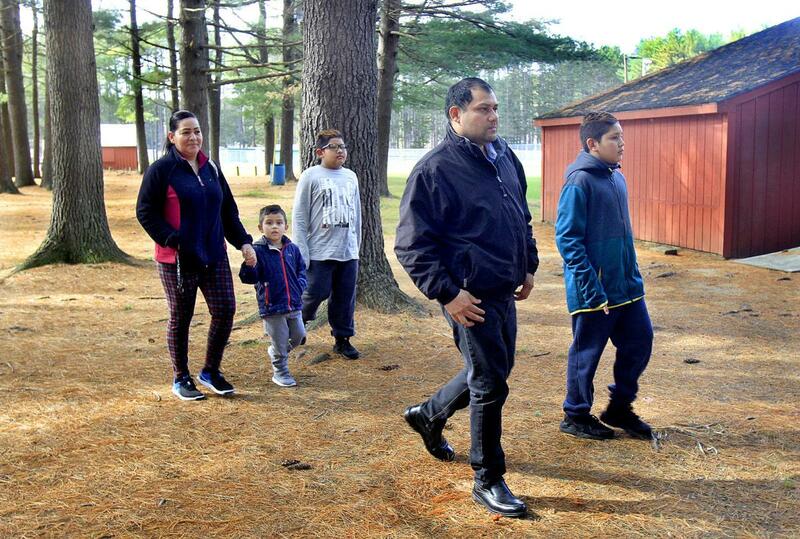 About 25 people gathered at Wheelock Park in Keene Sunday afternoon to celebrate the release of Eleazar Lopez Ayala, an undocumented Honduran immigrant living in Manchester who was detained by U.S. Immigration and Customs Enforcement under the threat of deportation for nine months. Lopez Ayala came to the United States as a minor in 1995 to flee poverty and crime in his home country. But his life quickly changed when he got a flat tire in Deerfield in August 2017. With no cellphone reception, he and his co-worker knocked on the door of a nearby house to use the telephone. When they left, the homeowner called police, and soon they were being asked for their identification. Though Lopez Ayala had no criminal history, ICE was called. 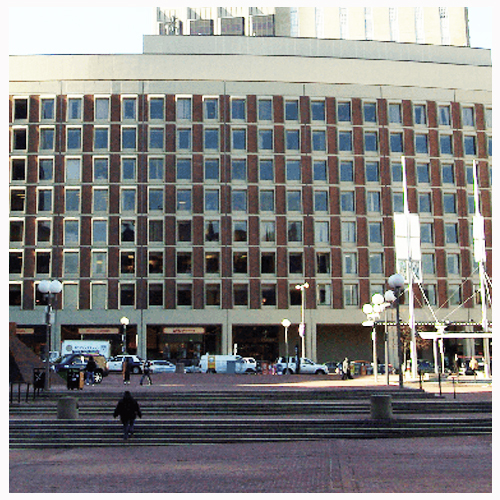 After he spent nine months in a detention center in Massachusetts, Lopez Ayala was released about four months ago after a post-order custody review, according to attorney Jeffrey Rubin of Rubin Pomerleau P.C., the Boston law firm representing him. In June, the firm won a separate case before the U.S. Supreme Court — Pereira v. Sessions — that Rubin says could have implications for Lopez Ayala’s case before the Board of Immigration Appeals and for other immigration cases across the country. That ruling found that a notice to appear for removal proceedings is valid only if it specifies a date and time for those proceedings. Lopez Ayala’s original notice of removal provided no time or place for his hearing, according to Rubin, which the firm argues makes the notice invalid and provides reason for the case to be terminated. At that point, Rubin said, Lopez Ayala would be able to apply for cancellation of removal under the Nationality Act of the United States. The law allows for a change of status for noncitizens who have been in the United States for a continuous period of at least 10 years and whose deportation would cause “exceptional and extremely unusual hardship” to their families or dependents, who must be in the country legally or have U.S. citizenship. Though Lopez Ayala lives in Manchester, a group of Keene residents have rallied around his case. Last November, Mohammad Saleh organized an event on Thanksgiving, in conjunction with the Keene Immigrant and Refugee Partnership, to show solidarity with Lopez Ayala and his family. Saleh has since spearheaded efforts to raise money for Lopez Ayala’s legal fees, which he said resulted in $2,500 in donations from Keene residents. Now, Saleh is working to raise another $5,000 in donations as Lopez Ayala’s case continues. The event Sunday was an opportunity for people to donate to that cause, but also to celebrate Lopez Ayala’s release and the Keene community’s involvement in supporting the family, Saleh said. It featured four speakers: Joe Schapiro, a founding member of the Keene Immigrant and Refugee Partnership and a Democratic candidate for N.H. House District 16; Dottie Morris, associate vice president for diversity and inclusion at Keene State College; Janis Manwaring, city councilor for Ward 1 in Keene; and Hank Knight, director of the Cohen Center for Holocaust and Genocide Studies at Keene State. As Morris addressed the group, huddled under the Horseshoe Pavilion on a crisp but sunny day, she spoke about promoting justice and fairness as “future ancestors” to generations to come. Knight asked attendees to think about the question “who are we?” — in the contexts of how our actions define us and of what the word “we” can mean. As Lopez Ayala and his family arrived Sunday about halfway through the event, they were met with applause. Maria Cubias, Lopez Ayala’s wife, said that she’s thankful to have her husband home. Though things have still been difficult — she has been working two jobs to support the family, as Lopez Ayala has no work permit — she said they are happy to be together again. Saleh noted that he first got involved simply because he wanted to help the family — but following this case has also provided an opportunity for the community to connect and come together over a shared cause, he said. His hope is that other communities will take up the same mantle. Meg McIntyre can be reached at 352-1234, extension 1404, or mmcintyre@keenesentinel.com. Follow her on Twitter at @MMcIntyreKS.